We have stopped offering BEL training courses and are organising Lowland Leader courses instead. Please take a look at our Lowland Leader pages if you are interested in getting qualified to take groups out into lowland countryside. While we think that BEL is an excellent course we have found it to be too in-depth for most of our client base. Because BEL is designed for people with no countryside walking experience at all it is excellent for the complete novice. We find that most people who wish to get qualified have experience of both the outdoors and teaching and thus do not want to attend a 6 day training course that makes them cover ground they already know. Because of this we have moved onto offering the Lowland Leader Award as apposed to BEL. The Lowland Leader award is administered by Mountain training and is a 2 day training course with a 2 day assessment later. There are more pre-requisites for joining a course and there is less coverage on how to teach what you know, it is a leadership rather than an instruction course. More infomation on The BEL qualification follows. 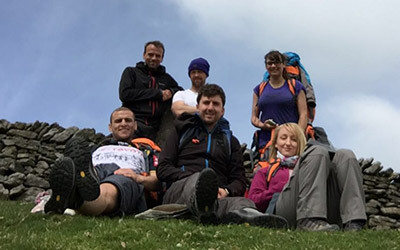 The Level 3 Certificate in Basic Expedition Leadership (BEL) is a nationally recognised qualification that trains and qualifies teachers, youth workers and others to lead people on overnight expeditions in lowland countryside. The qualification is normally a minimum required by most Licensed Organisations for staff to supervise groups taking part in the expedition section of the Duke of Edinburgh's Award. Most Bronze and many Silver expeditions are carried out in 'BEL or lowland leader territory' so holders of the award should have no problem supervising groups up to Silver level assuming that the expeditions are carried out in suitable countryside. There are no prerequisites to joining a course. While no doubt some experience will be useful you don't need to have logged any teaching or personal experience hours prior to the training.